My Questions book was published during the heat of the Cold War's Space Race, several years before Neil Armstrong planted his boots on the moon's surface. One of the things I love about this book is its attempt to teach scientifically based facts, as they were understood by the scientific community at the time, in a way that children could comprehend. 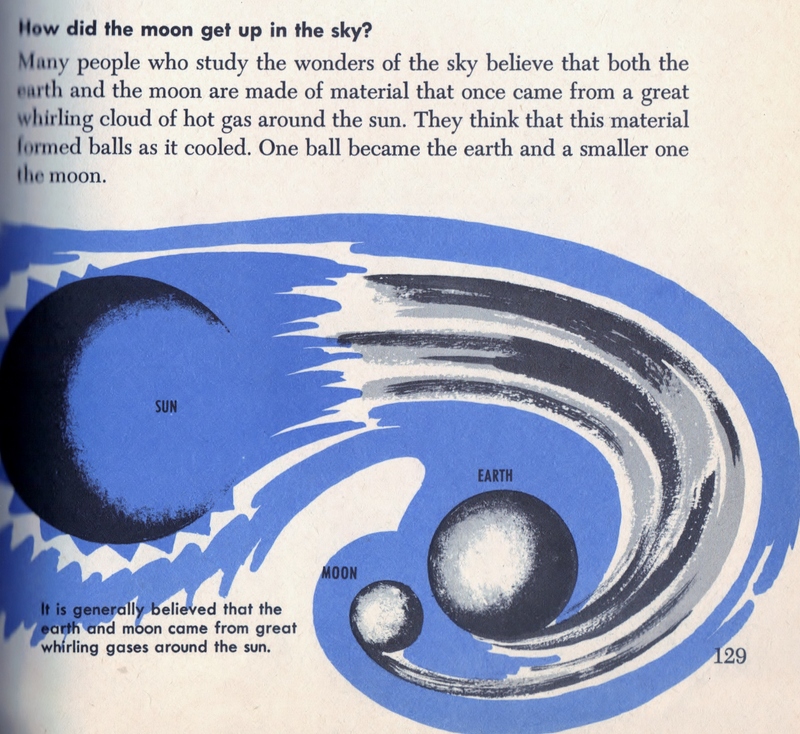 And the wonderful illustrations - I love this image of the Earth and moon whirling out of the sun.